Do you still remember all the catalogues that used to pile up in the mailbox? People ordered things without any information from customer reviews about the delivery or the product itself. They based their decision entirely on the product description and the picture in the catalogue. It wasn’t until the package arrived that they knew whether the product they ordered was going to be good or worthless. Today this is impossible to imagine. Information about the quality of the product and the delivery is already available beforehand – we don't even have to ask for it. Online retail businesses like Amazon have not only revolutionized the act of shopping, but they’ve also taken data handling to a new level. This "data analysis" is gradually finding its way into businesses. Companies are leaving nothing to chance. Predictions about things like customer needs and future market developments are now simply part of everyday business. Insights like these have enormous strategic advantages for businesses. More accurate forecasts help drive higher sales, strengthen the position of company, and result in more satisfied customers and stronger customer loyalty. Today's business decisions are no longer based on fuzzy assumptions – they're backed up by solid facts and figures. This is all made possible by means of analyses and different types of applied artificial intelligence. 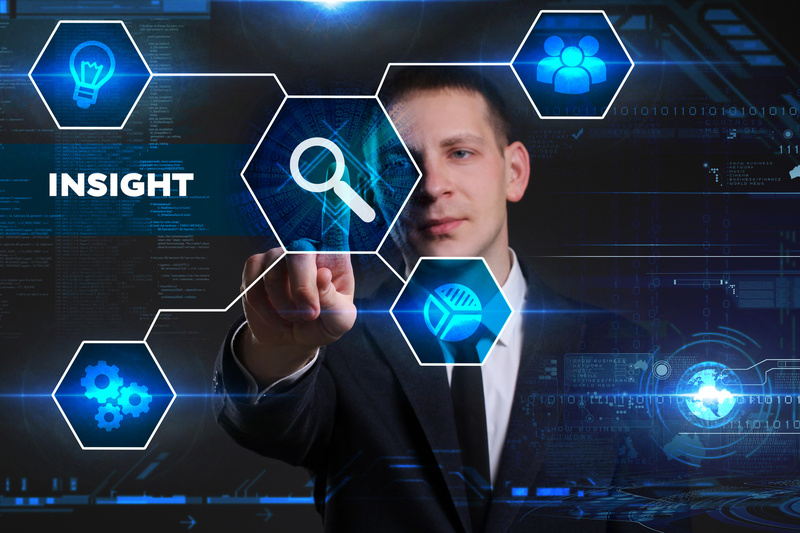 Solutions based on enterprise search and information insight technologies as well as artificial intelligence borrow from the methods of machine learning, deep learning, and other forms of artificial intelligence, and use them to bundle existing knowledge within the company to extract information and make this data available it its entirety. The data is qualitatively processed to form the basis for tangible, actionable guidelines and future-oriented business decisions. Natural language processing (NLP) and natural language question answering (NLQA) enable queries to be sent in natural language and accurately capture the content in a way that very precisely pinpoints the user request and his or her specific needs. In such cases, only the relevant and required information, depending on access rights, is filtered out and then displayed as a personalized result. Other manifestations of artificial intelligence are being used to endow the application with a kind of "memory." Deep learning and machine learning enable the system to learn from the past working methods and activities of the employee in order to calculate the relevance of the information found in new search queries and make it available in a personalized and proactive way. A diverse number of connectors for the different data sources, such as network drives, SAP, and Microsoft SharePoint, allow these to be linked with little effort and the data can be indexed. Such systems can now easily be integrated in the company without the need for lengthy, complex projects. Because most of the high-end solutions have this functionality, all functions can be adapted to the needs of each individual department. Both the subject-specific content (relevance model) and the appropriate display (e.g. filter possibilities) are subjectively adapted to the interests of the respective department. In this way, each employee receives information from the corporate information pool according to his role and position, as well as to what is relevant to him and to the specific application. This ensures a company-wide and cross-departmental linking and networking of the company's knowledge and guarantees that the information can be retrieved by the right person at the right time at the right place and in the right context. Intelligent technologies help companies achieve concrete competitive advantages by enabling them to act faster, more flexibly, and at a higher quality level. They bundle the existing company knowledge into a 360-degree view, extract the data, and make it available in its entirety. The resulting linkage of all relevant company information enables a thorough processing of the data, ensuring that the provision of information runs smoothly. In doing so, they unite all the moving parts so that the company can operate in a way that is proactive and forward-looking.